There is an age old tradition in India wherein people send pregnant women all kinds of sweets and savories. 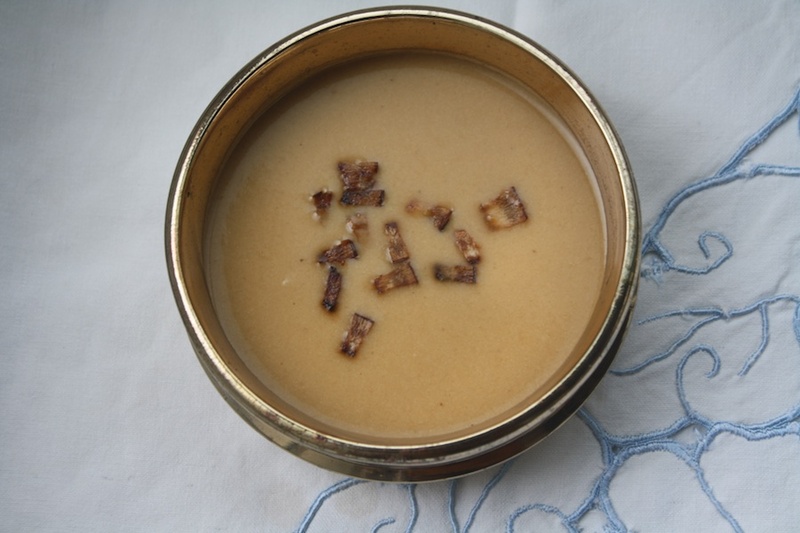 When i was 8 months pregnant, a family friend of mine, sent across pineapple payasam. It tasted so good that I had decided to try making it after the baby. So after 7 long months, i finally found the time to make it last Saturday. I will be sharing the recipe today. Coconut milk comes from blending grated coconut with water and straining the same. The first milk from coconut is one that is obtained after the first round of blending and straining the dessicated coconut. The second milk is obtained by blending and straining the same dessicated coconut a second time resulting in thinner milk. Boil about 1.5 cups of water in a heavy bottomed vessel. Add the pineapple pulp to that and cook it till it thickens. Stir it every now and then to ensure it doesn't get burnt. In a separate pan, add about ¾ cup of water & the jaggery. Boil till the jaggery melts. Strain this water to remove any impurities and add it to the cooked pineapple pulp. Stir this mixture constantly till the water evaporates. Add the ghee towards the end and stir well. To this sweetened pineapple pulp add the second and third pressed milk obtained from the coconut and boil it well. Finally add the first milk obtained from the coconut and take it off the stove immediately after the first boil. .
Add cardamom powder or dry roasted cumin powder & dry ginger powder to enhance the flavor of the payasam. Garnish with small coconut pieces that have been fried in ghee till light brown. Serve hot or cold!